Essen und getranke in Suden Tahoe? 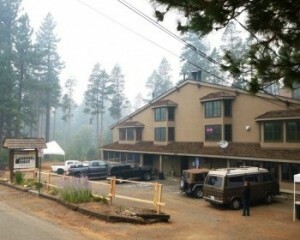 Eat and drink in South Tahoe? After a long day of riding you ask one of the locals working the gondola at Heavenly, “where do you go to get the best bite to eat?” Their expression turns to excitement as they immediately tell you “The Himmel Haus!” Quickly they give you the history. A crazy party pad in the 80’s that was the place to be. Rumors of crazy cocaine fueled ragers that lasted until dawn, followed by directions…head up Ski Way Blvd., turn, head up, turn, turn, up, turn and keep going up. Lead astray, does this place exist? One begins to wonder…on what is supposed to be the final turn, the only thing visible is unassuming chalets and then out of nowhere the California Lodge of Heavenly Mountain Resort comes into view. It must be here. The lodge uphill, chalets down….mixed among the community a modest two story German looking chalet appears marked with the name you are looking for. The Himmel Haus. A local’s favorite that provides a unique American take on traditional German food. It’s a must stop! On vacation, time to hang, nothing to do tonight? 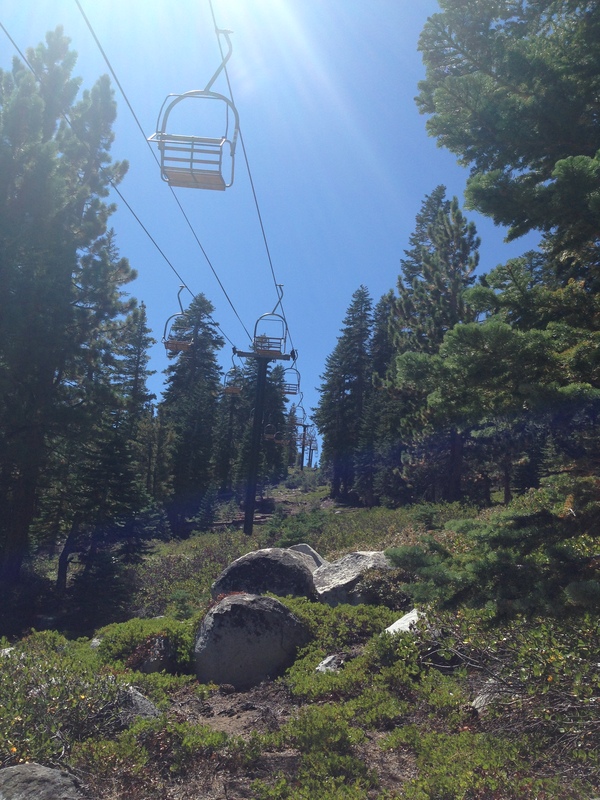 Well, stick around…it’s definitely worth a visit when in South Lake Tahoe! With strong showings Monday through Wednesday, the busiest nights of the week, the Himmel Haus is always the place to be. From weekly events to great weekend promotions, this joint has it figured out. Summer…Winter…whatever the season and whatever your flavor make sure to pencil it in your itinerary and thank Local Freshies for the referral…You’re welcome in advance! Not convinced? Need to hear more about high quality, German beer or a unique take on German cuisine and an awesome location and atmosphere? Good! Local Freshies was granted the opportunity to meet with one of the co-owners at Himmel Haus to give us some more juicy details about this infamous South Lake Tahoe hotspot. The down and dirty with Zak, Co Owner of the Himmel Haus. As soon as the interview began, it was evident…there is true quality in his character. Attention to detail was very important which showed he truly cares about every patron coming into the restaurant. This coupled with a positive attitude could be the perfect recipe that has lead to his success. Zak is one of those unique people that would be comfortable and thrive in the wilderness or in the busiest metropolis. To prove my point, during the interview, he even stopped, took a moment to say hello to the neighbors passing by, and continued working. So, what inspired you to open Himmel Haus? He smiled with a glint in his eye. He seemed eager to tell his story. Being born and raised in Minnesota I grew up in a town full of Germans. Most still had a German accent. I was surrounded by great German cuisine and culture all my life. My, then, career in the hospitality industry, meant a job waiting tables, bar backing and bartending. Traveling westward from Minnesota my intent was to end up in the woods of Alaska. Even with good intentions, I ended up in San Francisco broke and unable to make it up to Alaska. After living in San Francisco where I met my partners for the Himmel Haus the call for the mountains was too much. I finally decided to move up to South Lake. It was the closest set of mountains at the time. With relocation and a business plan decided, the group and I found this fantastic location at the bottom of the California Lodge and saw it as a great opportunity. The number one focus of the Himmel Haus was bringing in the sense of a German communal restaurant. The floor plan was simple, long tables and pews that would give regulars as well as visitors an opportunity to meet new friends and reconnect with the old ones. We wanted people to feel at home when they came in. Your food does make you feel at home and it seems that your level of authenticity and quality is above and beyond any other “German” place. What’s the secret to creating such high quality cuisine? First having grandmother’s recipes always helped bring the authenticity. We know that depending on what part of Germany you are, the cuisine styles will be different. We’ve heard from some people that it’s very authentic and others not so much. The focus is to provide great ingredients and quality food along with the best German beer. Recipes are continually tweaked in search of the combinations that work and those that don’t. Our goal is to please the customer. We always strive to bring the best food, the best beer, and the best service you can possibly have. Speaking of beer, currently the trend in brewing is IPA and making the beer as hoppy as possible. At Himmel Haus the choices are more unique and international. When an “IPA” lover steps in, what is the suggestion? I feel that the IPA is so popular right now because for a long time in America we represented beers that were way at the other end of the spectrum. Even today, we still are internationally known for our light, watery beers compared to what other parts of the world consider beer. America went so far in the light beers category that people wanted to taste things that were different. There was always good micro brews out there such as Juengling, but people started gravitating to the IPAs. It’s as far to the other side of the spectrum as possible. Like a pendulum I predict that in the next few years, people are going to get tired of that overly hopped, in your face kind of stuff and end up swinging back towards the middle where German beers reside. Beer has been made for a thousand years. It has went through the same evolution as we are going through now. So, to answer your question, you won’t find true IPA beers here. For the real “IPA” lover there’s a unique beer we carry by Schneider. Schneider’s known for their hefeweissen. They teamed up with Brooklyn Brewery to create the Hopfenweiss. It is an extremely unique beer. I point IPA fans to it since it has a little bit higher alcohol content, sharper taste, and floral note similar to an IPA, but ends with a hefeweissen twist. Besides the Hopfenweiss you suggested for IPA lovers, what German beer would you suggest for an undecided first time visitor? The Hofbrau. It’s a neutral beer that isn’t too hoppy or sweet. Still unique, but at the same time a good introduction of what German beers are. So, I’ve heard there is a secret menu locals know to ask for. Would you be willing to share those items? First, we continually change our menu so it’s always good to ask what we have that’s not on the menu. That said, there are a few things you can ask for that are “regular” local items such as having the happy hour bratwurst. Basically, it’s a sausage in a roll. Also try the Himmel Haus burger. We take our sausage meat and make it into a burger patty. Those also can be upgraded to a double or triple Himmel Haus burger. We are still waiting on the first to finish the Triple Himmel Haus burger! Speaking of continually changing your menu, I noticed an interesting item. Wild game sausages. Is there any new concepts/ideas/future plans on the horizon you’d be willing to share to get people excited? Honestly, we have a ton of concepts and are continually experimenting to bring new concepts to Himmel Haus, but nothing that I can share with the public yet. It still needs perfecting. What is the best memory here? Without a second thought, Zak responded “Opening the doors. We had major challenges to get those doors opened. Permits, financing, just getting the building in a shape so that we could open.” We’ve had a ton of great memories since opening. We continue to make memories, especially with the locals. 80% of our business is local. It’s really gratifying to know that the community is behind us. Himmel Haus opens at noon. Today’s a powder day at Heavenly, what’s your first run? Shoveling the parking lot and driveway. Unfortunately, since I’ve been in Tahoe for 3 seasons I’ve had a total of 20 days on the mountain. Running a restaurant consumes most of my time. If I could break free, I would say on skis the first run would be Gun Barrel or any of the east facing runs next to the Himmel Haus. If on a snowboard, I would go to the top and try to take the longest run possible so that I can enjoy the large vertical that Heavenly has. You only have one day to live, what’s the last supper? First, I would make it a 3 Liter beer so it lasts and I can enjoy it to the last sip. The beer of choice would have to be a Maibach and my final meal would be sushi. Yes, even us Himmel Haus folks like to have other types of food besides German. If my last meal had to be German then I would have our sauerbraten. Grandma’s recipe is a great last meal! Wrapping up the interview, we said good bye. They say you can tell a lot by a man’s handshake. I could tell Zak is a person that cares about people, especially his patrons and the community of South Lake Tahoe. He shook my hand, smiled, looked directly into my eyes and wished me the best. Surprisingly, he remembered our discussion from the night before and said that he is looking forward to us moving up. He exemplifies a great owner. Be sure to stop by and enjoy this Local’s paradise! 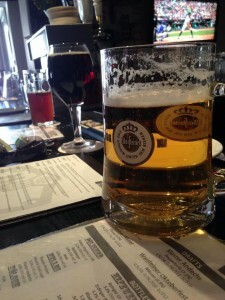 For more information on food, beer and events at the Himmel Haus check out their website here. Ready to give them a try?